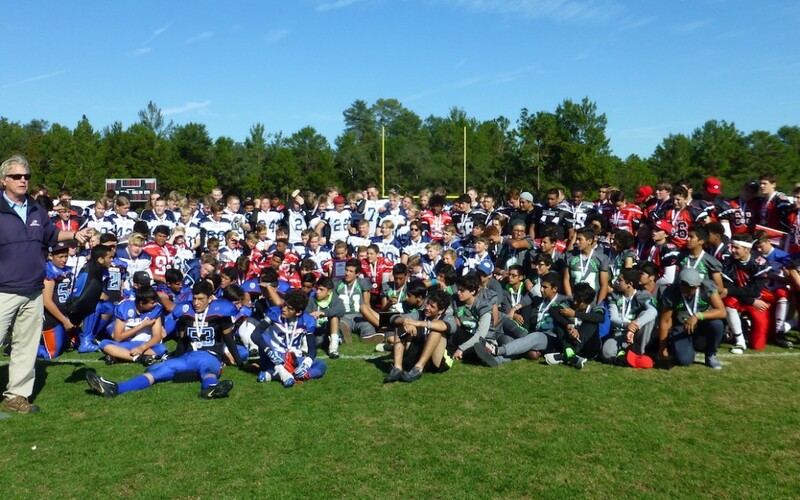 The third time competing at ESPN’s Wide World of Sports was a charm for both Queretaro of Mexico and the EAFL Falcons from the United Arab Emirates as each claimed a Pop Warner International Super Bowl championship for the first time. Queretaro finished with a 2-0 record in the Varsity division and took the title by virtue of an unbeaten record and Thursday’s win over Canada. JV champion EAFL was the only unbeaten team at that level with a 3-0 record. The Finland Blue Lions celebrated its nation’s first visit to the Pop Warner International Super Bowl with a win at both the Varsity and JV levels, beating EAFL 18-0 and Puebla 18-9 respectively.